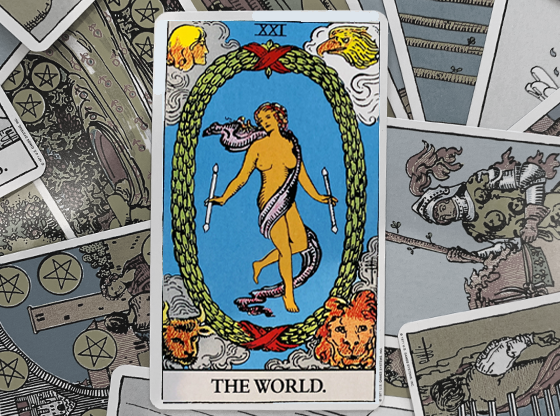 When you are grieving over a loss, the Six of Swords confirms this by appearing in your Tarot reading. When you are moving away into an unknown place and feel lonely, detached from all that you know and love, the Six of Swords will be revealed as the cards are dealt in your Tarot reading. This card confirms that you are in a somber state, but it is a card that signals the bottom has been reached and that the slow process of healing has begun. Under a gray sky, a ferryman steers his small boat toward a distant landscape. On board a woman, completely shrouded, sits, hunched over, next to a small child. Six Swords are stuck into the boat, pointing down, however there is no leak. The guide stands behind them with a large oar, stirring up the still water as he slowly moves the boat nearer to that far-off shore, seen colorless out in the horizon. The boat is central to the card’s meaning – it is going somewhere, it is going away from where you are now. There is finality in this journey as not a single passenger even hints at turning around – the future is not yet visible but the past is definitively over. The swords are not affecting the boat even though they are stuck in the base – this is a metaphor for taking what you have learned with you as you go through life. This might not necessarily be a positive development as these Swords can represent past hurts you are carrying with you. This is a somber and serious card, but not an inherently negative one. The transition through which you are going is something to be taken seriously. A candid personal inventory is something that can assure this journey will have a positive impact. 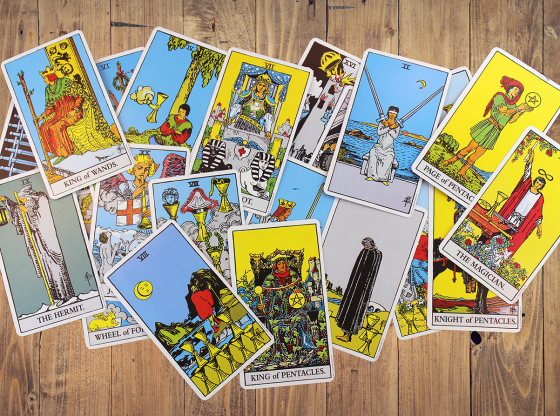 Every Tarot reading is divided into your Past, your Present and your Future. Cards have different meanings depending on where they are dealt. If the Six of Swords is dealt in the past position, your Tarot reader will be able to understand the pain and sorrow you carry from incidences in your past. Be it a glum childhood or a recent period of unemployment, the best thing that can be said for this placement is that you have sailed on from a dull time in your life. The worst that can be said, though, is that you are carrying around low self-esteem or other afflictions of the imagination that manifest as neuroses. When the Six of Swords appears in the present position in your Tarot Reading, you are probably seeking out this reading in the first place as a way to make things a little livelier. Boredom, the weight of leaving a relationship or a lingering grief over a loss from a while ago may be conspiring to keep you drifting slowly in the still waters of life instead of pushing you forward or inspiring you to row faster toward a specific goal. This card in the future position is often a good sign that your present situation will have a calm, undisturbed future ahead. There is a consistency in the slow and steady ride on the boat depicted in this card. Landing in the future position may indicate that the current tumult in your life may cause you to ponder relocating or to change your career. 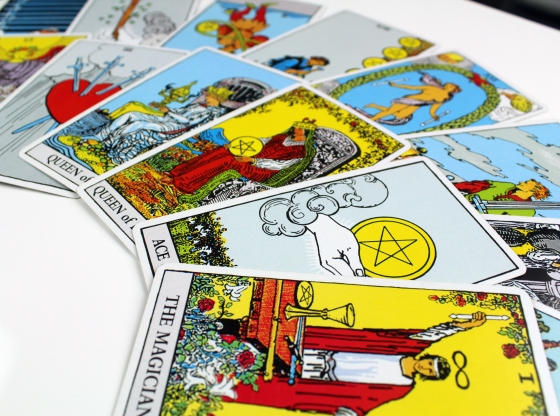 When the Tarot cards are spread out, they are integrated into one reading. This means that they influence and inform each of the cards around them. All the cards combine to sing in harmony. 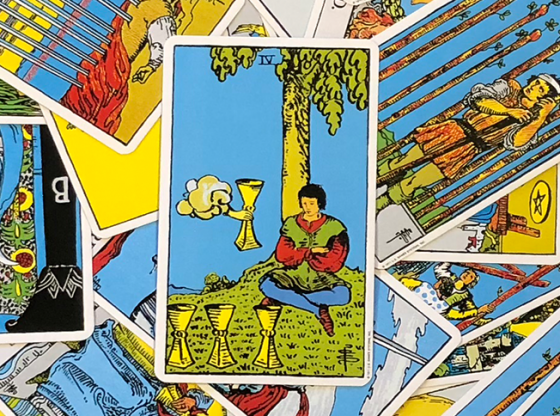 Cards that combine with the Six of Swords detail more precisely what kind of journey you are on – is it physically moving or mentally raising your consciousness? Are the doldrums that coincide with this card related to lost love or not living up to your potential? The Six of Swords is a weak, neutral card. 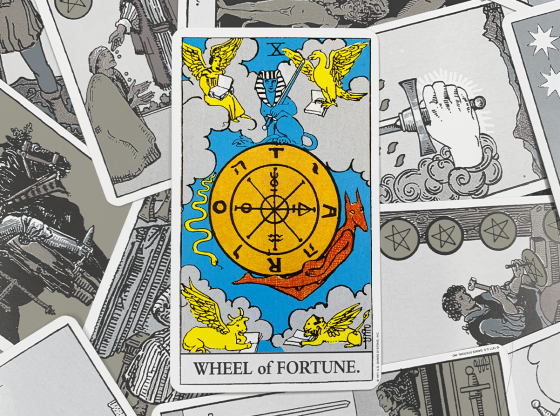 The cards nearby will guide your Tarot reader to best describe the journey. Two important cards that are higher echoes of the Six of Swords deeply impact any reading in which either of them appear: The Lovers and The Tower. The Lovers is the Major Arcana’s Number 6 card. It represents all things associated with passionate interpersonal partnerships. When present with the Six of Swords in a reading, the subjects of separation and loneliness come to the front of the discussion. The Tower is numbered 16 in the Major Arcana. This is the card that indicates big changes are ahead. 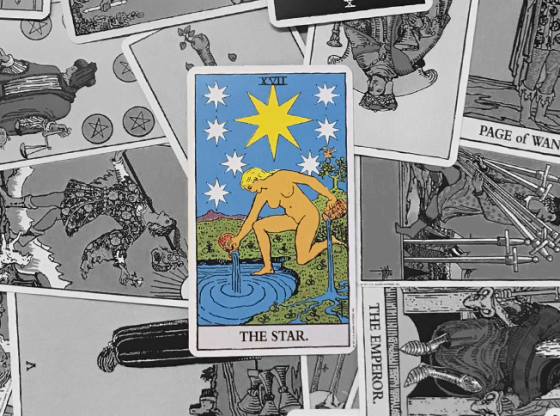 When it is revealed in your Tarot reading that also includes the Six of Swords, you are definitely relocating and the change is going to be a great adjustment for you. 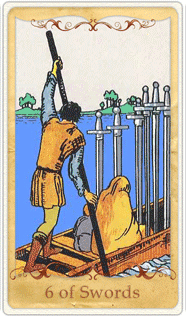 When there are other cards from the suit of Swords in your reading, this indicates that harsh words or new ideas are at the core of your current passive shift away from the past. 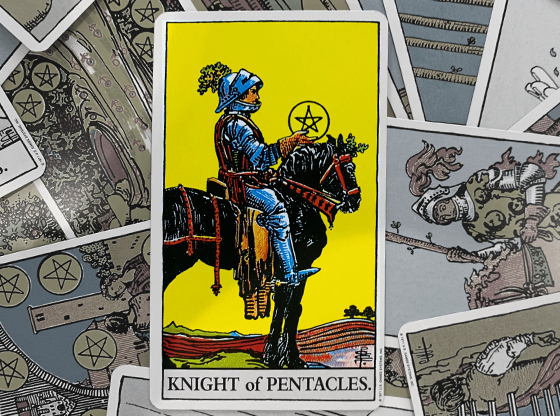 The suit of Pentacles is an indicator of material wealth and when a few cards of this suit appear in a reading with this card, it foretells that lack of money in your life may be inhibiting your development or making you feel sorry for yourself. It can also indicate that having all of your material needs met and money in the bank are combining to make you lazy. 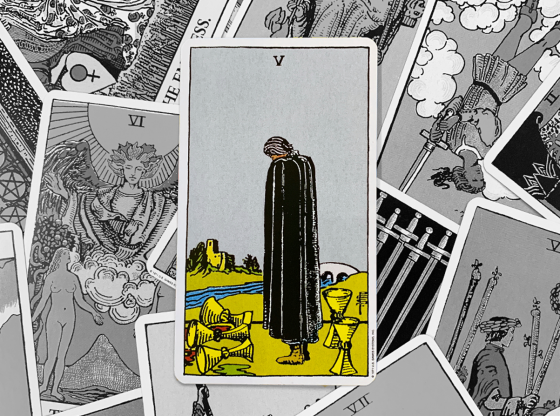 When there are many cards in your reading from the suit of Cups alongside the Six of Swords, your emotions are keeping you isolated. This can be from a breakup or from a stubborn refusal to take back hurtful words. The Six of Swords is a card famous for not being able to forgive, let alone forget. Many a Tarot reader will advise you to try this and it may sound to you like fingernails scratching a chalkboard. 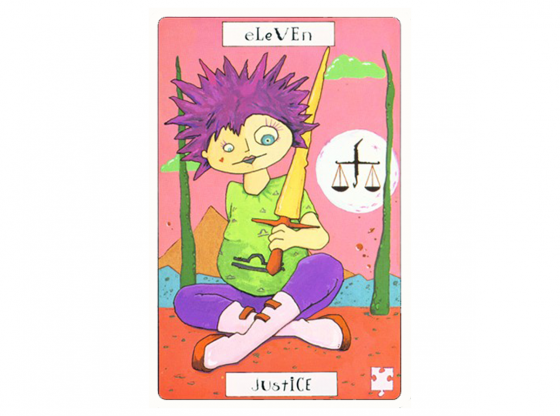 The suit of Wands represents creativity. When many cards from the Suit of Wands appear along with this card, isolation can be a good thing if you are working on a creative project. Be it for work, school or your own development, great breakthroughs occur when you slowly move toward completing a goal, undisturbed. Winning business plans come out of a disciplined, thoughtful isolation. 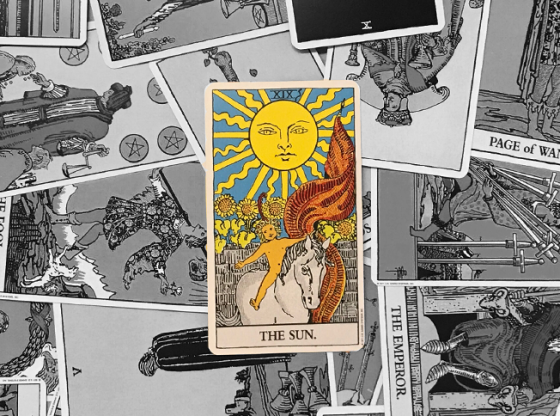 Masterpieces of art are painted when these cards appear together in a Tarot reading for a talented artist as are great symphonies of music composed when a genius of rhythm and melody receives Wands and the Six of Swords in a reading.